It doesn’t get any easier than Sally’s no-fuss bread loaf recipe. Try it for yourself. This recipe can also be used to make pizza bases, bread rolls, fruit buns and Chelsea scrolls – even Vegemite and cheese or ham and cheese scrolls (see notes at end). 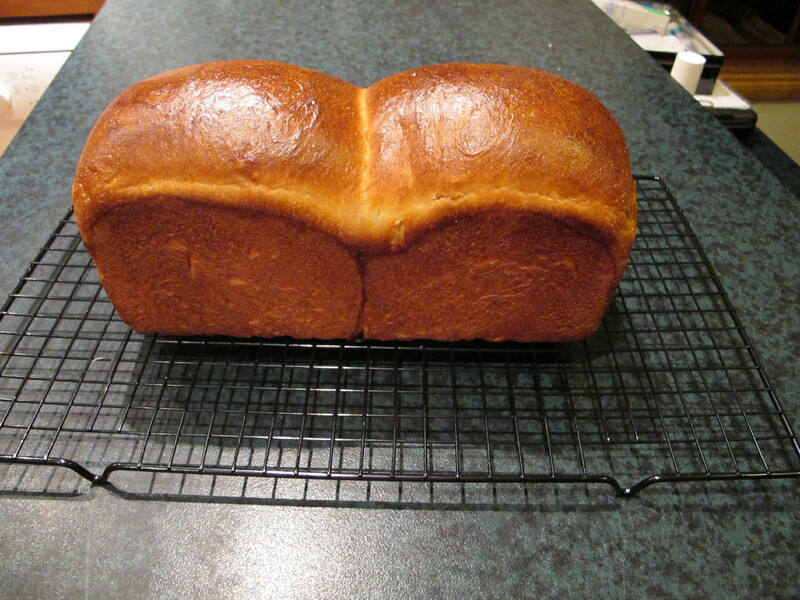 For this recipe I use 24cm x 13cm bread (loaf) tin that is 9cm deep. Anything close to that size is fine. You can use half wholemeal flour of preferred, and add seeds if you like. The dough will need to be kneaded however after the first mixing to develop the gluten better – do this for about 5 minutes, and again for 5 minutes after rising in the bowl. To make fruit bread, just add dried fruit of your choice – about 1 cup, one to two teaspoons mixed spice, and the grated rind of one lemon. Add the spices and lemon at the initial mixing up, but add the fruit only when it gets to the kneading stage – otherwise it hinders the rising of the dough. When ready, turn dough out onto a lightly floured surface and knead until smooth. Shape into 2 equal sized balls and place side by side in the tin. Cover with a tea towel and allow to rise almost to the top of the tin. Cooking time for bread rolls etc. is about 15 minutes. Pizza is about 20 minutes – this recipe makes about 2 large pizzas. Temperature is 200 degrees C.
To make scrolls, pat the dough (after the first rising) out to a rectangle about 1cm thick and spread with butter, then ham and cheese (for ham and cheese scrolls), brown sugar (sprinkle with that is) and dried fruit for Chelsea scrolls or vegemite and cheese. Roll up from the long side and cut into 4cm pieces and place side by side on a tray. Leave to rise for 15 minutes, then bake at 200°C for 15 minutes (maybe 20). To make fruit buns, add about 1 ½ cups mixed fruit to the dough and a couple of teaspoons of mixed spice or cinnamon and the grated rind of a lemon. It’ll take a bit longer to rise. Shape into balls after first rising. Place on trays pretty close together and allow to rise 20 minutes, then bake at 180 degrees C for for 15 to 20 minutes. If you like, brush with honey or golden syrup as soon as they come from the oven. To make bread rolls, shape into balls with just the normal dough – place on tray, pretty close together, and allow to rise 15 minutes, then bake for 15 minutes at 190 degrees C.